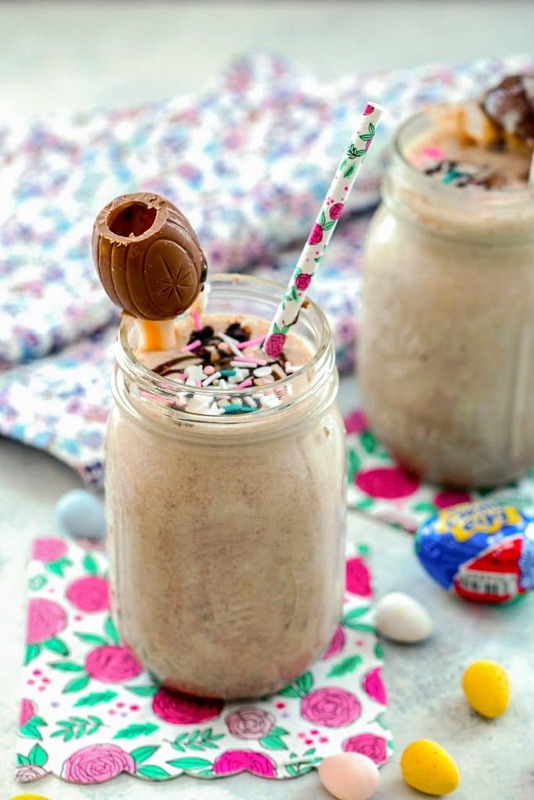 The ultimate Easter milkshake, this Cadbury Egg Milkshake combines ice cream with Cadbury Mini Eggs, caramel, and chocolate sauce and is topped with a Cadbury Creme Egg garnish! I am so wrapped up in Easter baking right now. OK, if you want to get a bit more specific, I’m so wrapped up in Easter candy right now. And I figure that instead of eating bags of it while on the couch at night being bored to death by the latest season of The Bachelor, I should put the candy to good use and utilize it in some fun Easter dessert recipes. And also to revamp some of my older blog recipes that need a major photo refresh. OK, what that really means is that instead of sitting on the couch eating out of the bags of candy, I’m sitting on the couch eating these Easter desserts made out of candy. Thank goodness the Bachelor ends tonight (in what is said to be ACTUALLY the most dramatic finale ever) and then perhaps I can find something more effective to do with my time. But for now, I’m bringing you a revamped version of my 2013 Cadbury Egg Milkshake. This milkshake involves both kinds of Cadbury Eggs because I’m stuck right in the middle of the pack when you ask me if I prefer Cadbury Creme Eggs or Cadbury Mini Eggs. I actually launched a poll on my Instagram Stories last week because I wanted to see what the fan favorite would be. Mini Eggs won in a landslide with 82% of the votes. Chris is convinced the votes were fake or submitted by Russian bots because he thinks Creme Eggs should have been the clear winner. But I predicted Mini Eggs would win for several reasons… First of all, eating them isn’t as much of a commitment as eating an entire Creme Egg; you can just grab a few if you want and don’t have to feel like you just ate a huge piece of candy. Second of all, and directly related to that, you can totally binge on them without feeling as gross as you would if you binged on Creme Eggs. Right? 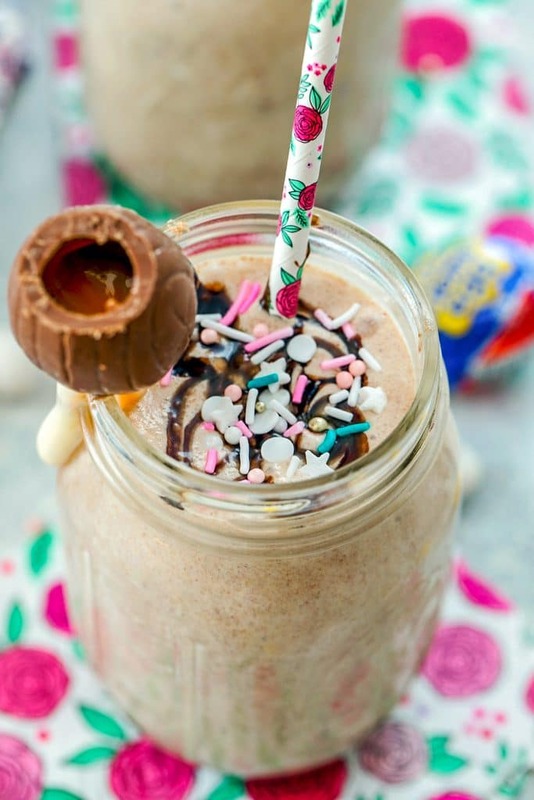 So, this Easter milkshake should keep the masses of Cadbury Mini Egg fans incredibly happy considering mini eggs are legit blended into vanilla ice cream. The Cadbury Cream Egg actually comes in the form of garnish, but I also blended some caramel and chocolate sauce into the milkshake to bring the flavors of the Creme Egg into the shake. As you can see, this is a highly scientific Easter treat and one I didn’t take lightly (I mean, to be clear, there’s nothing really “light” about it). 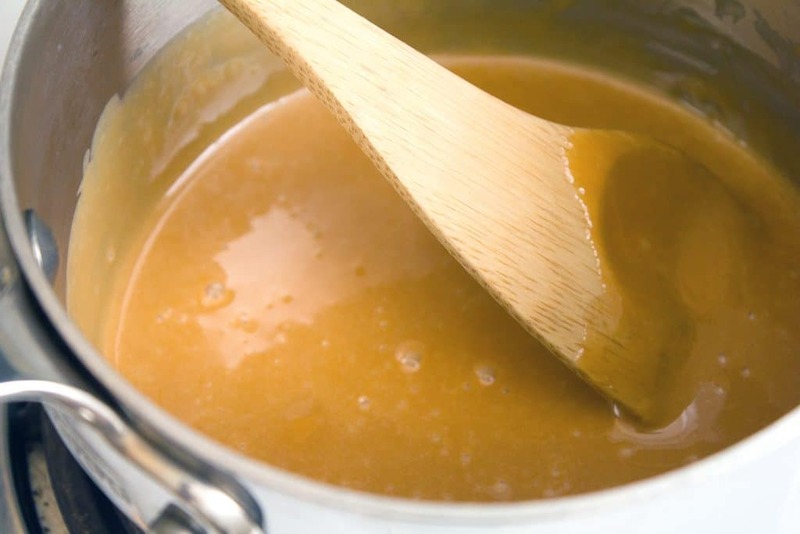 You can either make your own caramel sauce (linking to my go-to recipe here) or buy a jarred caramel sauce. You only need a little bit for these milkshakes, but I like to make a batch whenever I have the opportunity and keep the leftovers in my fridge. I realize there’s not actually caramel in a Cadbury Creme Egg, but how do you recreate the yellow yolk? I couldn’t quite figure it out and felt like caramel made a nice touch. Same goes for the chocolate sauce; either make your own or buy some. Again, I like to make a big batch (of this one) to keep in a mason jar in my fridge, but I almost always have a big bottle of Hershey’s syrup in my fridge, too… For nostalgia’s sake and all. Other than those components, you simply need to blend the vanilla ice cream, milk, and Cadbury Mini Eggs in a blender. 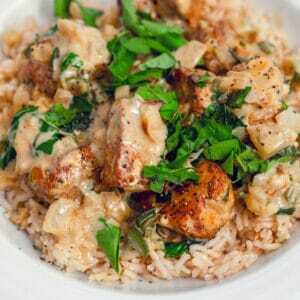 I used Silk Coconut Milk as my milk, but you can use any type of dairy or dairy alternative that you choose. Blend it until smooth and pour the milkshakes into two glasses. Then, stir in the caramel and chocolate sauce. And then obviously top the glasses with Cadbury Creme Eggs for garnish. 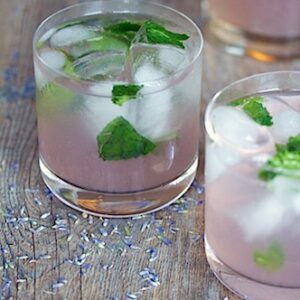 Yes, for garnish. Shush. This holiday happens once a year and I’ll use Cadbury Creme Eggs for garnish if I want to. I also added sprinkles because why the heck not? 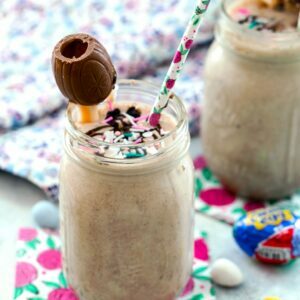 This Cadbury Egg milkshake is enough to make anyone fall in love with Cadbury Mini Eggs if they’re not already. Actually I’m not really sure if that’s a good or a bad thing. It could be argued either way. Sorry? I guess everyone should just count themselves lucky that I didn’t top this with Peeps syrup, like I did the Cadbury Egg Ice Cream I made years ago. Maybe I actually have boundaries? Really, that Peeps syrup caused a lot of controversy. People have really, really strong feelings about Peeps. Which always baffles me, considering they’re just marshmallows formed into cute animal shapes and covered in pastel sugar. Are they really that offensive? Maybe don’t answer that. Whatever the case, Cadbury Eggs are much less controversial… Especially the mini ones. Isn’t it kind of strange that Cadbury Chocolate hasn’t gained tons of popularity in the U.S., but when it comes to Easter candy, it’s the gold standard? It’s almost all I want in my Easter basket… Though now that I’m old enough to purchase it myself, I’m almost always just a little burned out on it by the time Easter comes around (thank goodness it’s early this year?). 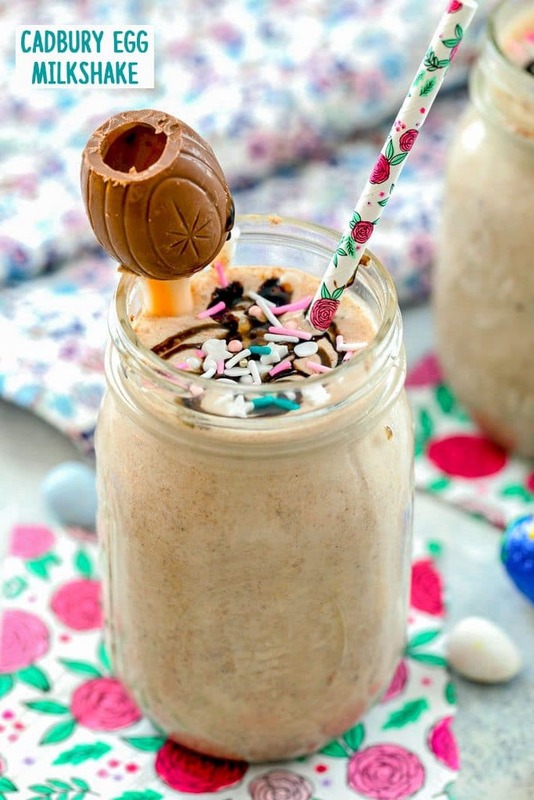 If the Easter Bunny left milkshakes, he’d totally be leaving this Cadbury Egg Milkshake. And, I mean, why shouldn’t he? A basket full of milkshakes? Make it happen, Bunny. Have you had your fill of Easter candy yet? And furthermore, would you choose Cadbury Mini Eggs or Cadbury Creme Eggs if you could only have one? If you’re not sick of Easter candy and are looking for more Cadbury Egg desserts, check out my Cadbury Mini Egg Scones! I’m also desperately craving this White Chocolate Mini Egg Cheesecake from Charlotte’s Lively Kitchen! In a blender, combine ice cream, milk of your choice, and Cadbury Mini Eggs and blend until smooth. Pour milkshake into two glasses and stir 1 Tbsp each of caramel sauce and chocolate sauce into each glass. Top milkshakes with Cadbury Creme Eggs and sprinkles, if desired. 29 Responses to "Cadbury Egg Milkshake"
I look forward to your Cabury Madness recipes every year. I always stock up way too much on the sweet stuff and then have so much leftover. I like that this has double the Cadbury Eggs! I vote for the more Easter candy recipes, the better. Yours are always some of my fave indulgences! gorgeous! i am playing catch up over here- i just got my first donut pan. Im going to stalk the donut recipes. Then, when i get BR fatter, i will seal the deal with this amazing shake! am i weird if i’ve never had the mini eggs??! 🙂 i do love the big ones though! Oh. My. God. This looks insane!! 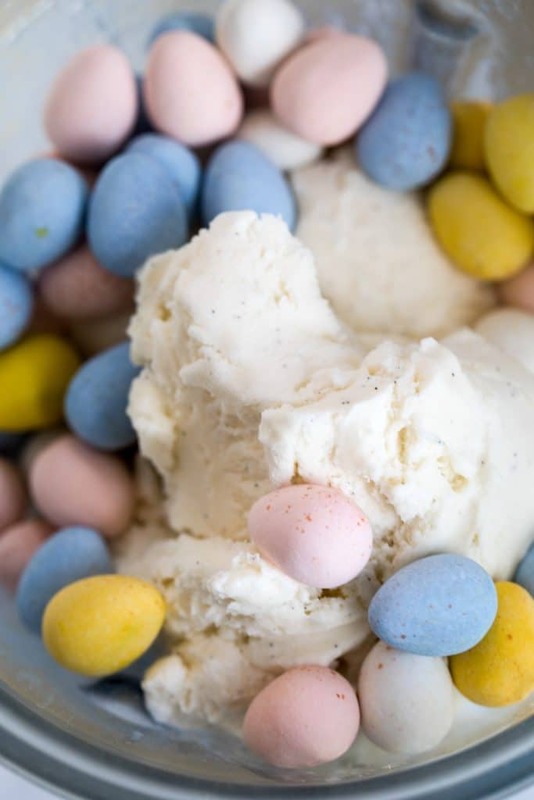 Mmmm… mini eggs in ice cream sounds amazing! WOW. I could down this in .2. Best Easter idea!!! Oh my! I have no other words. my mind is reeling. i want this. Must confess I’ve never had a Cadbury egg! Your milk shake looks decadent and delicious. It’s like heaven in a cup…. with ice cream!!!! YUM!!! I’m not even sure I can handle this. I want one now! I’ve been going easy on the Cadbury eggs this year. They are my kryptonite, and if I don’t keep a lid on it things get out of hand really fast. I plan to indulge heavily on Easter Sunday though. I am eating my first Easter candy right now! Haha I’d much rather be drinking this! What a treat. I used to love those giant egg yolks when I was a kid. umm…i got fat just reading this recipe. holy moly. i want to eat that right now!!! I look forward to the Easter candy this time of year, especially the Cadbury eggs! This milkshake looks creamy and delicious. Just what my sweet tooth is craving. This is like an Easter explosion. I am not showing this to my kids as I am certain, whilst easter eggs are in the shops, they would want one everyday!!! I have sat here fro 10 minutes trying to decide whether I am a creme egg fan or a mini egg fan. Before we left the UK I would probably have said mini eggs, but here in australia Cadbury chocolate isn’t the same (I think they have to change the recipe for the heat) so mini eggs aren’t quite as good. Now I am definitely in the creme egg camp. Do you get mini creme eggs in the states????? Now they are dangerous!!! Best of both worlds, mini so you can eat a few, but filled with that unmistakable creme filling. YUM!!! Oh my gah … Cadbury Creme Eggs are my all tim favorite candy. 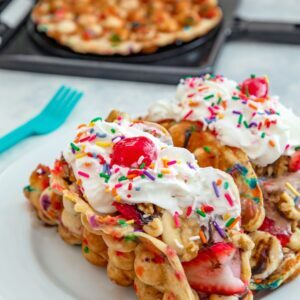 This looks like such an indulgence!! Oh my goodness I LOVE mini Cadbury creme eggs. So dangerous for me. That’s why I haven’t bought any yet! @Claire- I LOVE how much you’re debating it 🙂 And so interesting that Mini Eggs aren’t the same! We actually DO get mini creme eggs here, but I haven’t seen them at all this year.I’m going on the hunt tomorrow and yes, it’s going to be so dangerous if I find them!! 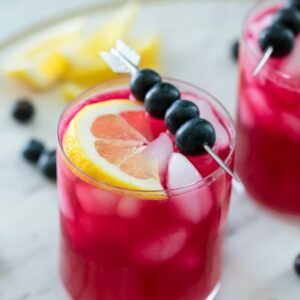 Such a pretty and delicious looking shake! 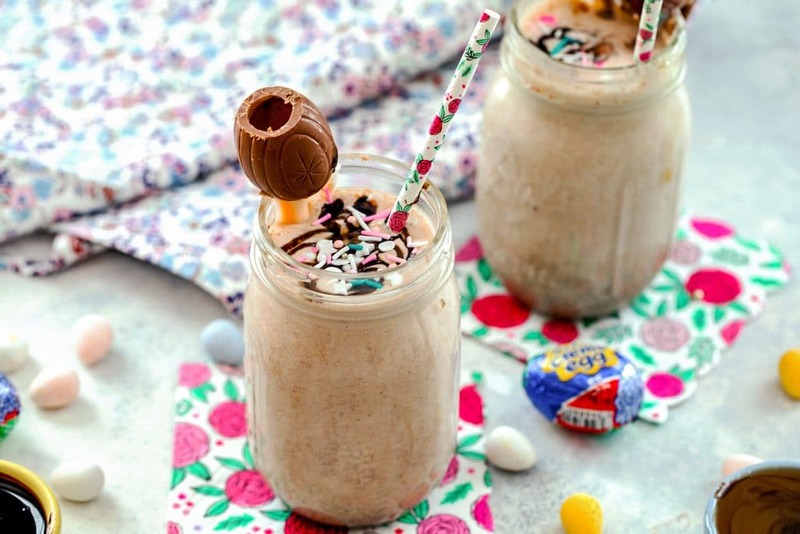 Vanilla, caramel, chocolate…everything about this wonderful Cadbury creme egg milkshake sounds divine! Perfect treat for Easter.